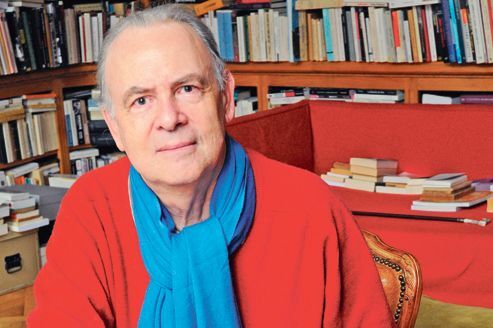 Patrick Modiano is the 111th winner of the Nobel prize for literature. The 69 year old writer is the 15th French writer to win the prestigious prize. Modiano is well known in France and writes children’s books, movie scripts and novels. His themes are memory, identity and time. He is best known novel is probably Missing Person, which won the prestigious Prix Goncourt in 1978 and is about a detective who loses his memory and endeavours to find it. His works have been translated into more than 30 languages and have been celebrated in and around France,though only a few were in circulation in English. He has gained prominence world over now, after winning the Prize. His novel, The Honeymoon, is about a documentary filmmaker, who leaves his wife and career and spends his days outside Pairs haunted by memories of a refugee couple he met 20 years ago. Patrick Modiano’s literary work is best read in French. The reason not much has been translated into English is because it gets lost in translation. While France celebrated the critically acclaimed storyteller’s honour, readers like me, who had not heard about him, scurried around looking for English translations of his novels. ” At Juan-les-Pins, people behaved as if the war didn’t exist. The men wore beach trousers and the women light-coloured pareus. All these people were some twenty years older than Ingrid and Rigaud, but this was barely noticeable. Owing to their suntanned skin and their athletic gait, they still looked young and falsely carefree. They didn’t know the way things would go when the summer was over. At aperitif time, they exchanged addresses. Would they be able to get rooms at Megève this winter? Some preferred the Val-d’Isère, and were already getting ready to book accommodation at the Col de l’Iseran. Others had no intention of leaving the Côte d’Azur. It was possible that they were going to reopen the Altitude 43 in Saint-Tropez, that white hotel which looks like a liner grounded among the pines above the Plage de la Bouillabaisse. They would be safe there. Fleeting signs of anguish could be read on their faces under the suntan: to think that they were going to have to be permanently on the move, searching for a place that the war had spared, and that these oases were going to become rare all the time . . . Rationing was beginning on the Côte. 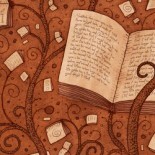 You mustn’t think about anything, so as not to undermine your morale. These idle days sometimes gave you a feeling of being under house arrest. You had to create a vacuum in your head. Let yourself be gently numbed by the sun and the swaying of the palm trees in the breeze . . . Shut your eyes. This entry was posted on January 18, 2015 by artikabakshi in Author Profiles and tagged France, Nobel prize for literature, Patrick Modiano;.